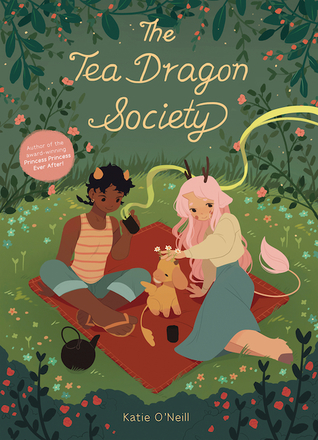 When she finds an injured tea dragon in the marketplace, young Greta - who is a blacksmith's apprentice - returns the magical creature to its owner and learns the nearly forgotten art of crafting tea from the delicate leaves growing from the tea dragon's bodies. There are no grand adventures, no epic battles; just a little girl who finds a dragon and makes some friends. A delightfully progressive slice of life story with simple and beautiful art, about the only thing I can legitimately complain about is there isn't enough of this. If this was a webcomic or a series, I would be reading it all the time. It's very rare for me to find something so lighthearted yet well done and I find it perfect. 5 out of 5.